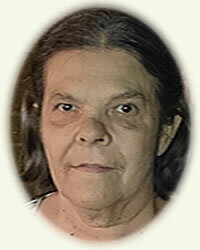 Obituary for Diane (Radakovic) Reed | Rhoney Funeral Home, Inc.
Of Niagara Falls, NY, passed away on Sunday, February 3, 2019, in the Buffalo Community Health Care Center, Buffalo, NY. Mrs. Reed was born in Niagara Falls, Ontario, on June 5, 1953, a daughter of the late Dan and Katherine (Henson) Radakovic. She moved to the United States in 1974 and was a waitress for several years. Mrs. Reed enjoyed spending time with her family, watching Lifetime television, playing cards, coloring and dancing. She is survived by her husband of 44 years, Sandy Reed; one daughter, Diane (Leon D.) Mix; two sisters, Vera Hammond and Sandra Radakovic; a brother, Nicholas Radakovic; two fur babies, Marcos and Octavia; also many nieces and nephews. She was the sister of the late Milica Myles. Her family will be present on Tuesday from 10-11:00 AM at the RHONEY FUNERAL HOME, 1124 Ontario Avenue, NIAGARA FALLS, NY, where funeral services will follow at 11:00 AM.